Ulster Architectural Heritage works to promote the protection of the historic built environment- recognition of its fragility, and ways in which historic buildings might be better protected. The management of the historic built environment is regulated by designation of listed buildings, conservation areas, areas of townscape character and sites & monuments and areas of archaeological potential. 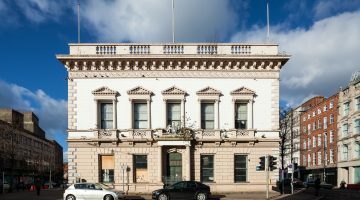 Planning for the historic built environment in Northern Ireland is regulated between the Historic Environment Division at Department for Communities, Department for Infrastructure and your local authority. Historic Environment Division administrates the designation of listed buildings. Local councils manage the designation of Conservation Areas and Areas of Townscape Character.As of 2015 your local authority leads on the administration of planning applications for the historic environment, with elected members making decisions on the majority of applications, guided by the advice of your local authority’s planning officers. The Historic Environment Division act as statutory consultees to your local authority. Find out whether a building, structure or site in Northern Ireland is listed, is a designated site or monument or an area of archaeological potential here. Find out whether your town has a Conservation Area here. Find out whether a building or structure is proposed and/or approved for demolition, alteration or regeneration here. Role of Ulster Architectural Heritage in Planning? 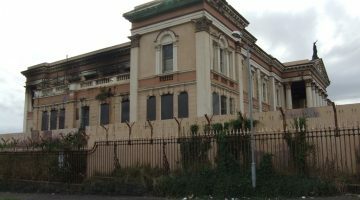 Ulster Architectural Heritage is a non-government organisation (NGO). UAH is independent of government and therefore is not statutory. However, in 1967, Ulster Architectural Heritage was founded on the need for statutory legislation, campaigned for the introduction of designations and has been the lead independent voice for the historic built environment ever since. Ulster Architectural Heritage routinely examines the planning applications for development affecting the historic built environment, through the media and online. Given the pressure placed on our limited resources, we appreciate threats to the built heritage being brought to our attention by the general public. While we endeavour to respond to as many applications as possible, we may prioritise response to some cases. This is at the discretion of UAH. Our letters set out the architectural and/or historic merits of the building affected and cite the local plan and other policy and guidance documents (material considerations) where relevant. The most important of these is generally Planning Policy Statement 6 : Planning, Archaeology and the Built Heritage. This policy will be replaced with the implementation of upcoming local development plans and Strategic Planning Policy Statement for NI, (SPPS). UAH also appears at planning appeals when important conservation issues are at stake. It is not just listed buildings that merit this attention: the Society’s campaigns often highlight the importance of the integrity of conservation areas and suggest ways of strengthening legislation to reduce losses in the future. On a number of occasions UAH has been forced to judicially review a number of damaging decisions through the High Court in the absence of Third Party Right of Appeal. This is a very onerous, resource–intensive onerous process and we continue to lobby the DoE Minister for this important measure to be introduced to ensure that a level playing field is created for developers and objectors. Ulster Architectural Heritage engages with the media on both positive and negative issues, keeping the importance of the built heritage as a vital springboard for community cohesion and regeneration in the spotlight. Check the planning applications in your local paper, or on the Planning NI website where you can check applications online. Don’t let the Society be the only objector to a damaging proposal. You may have knowledge of the history or legal background of a site that can be relevant, or you may simply believe that an application would have a negative impact on our environment. You might wish to consider setting up a residents’ group if you are not part of one already. They demonstrate that local people really care about their area and can respond to applications affecting buildings of merit, supported by the Society. Do remember that petitions are regarded as a single objection, so do encourage individual responses. Send in your comments or queries about an application to your local planning office, not forgetting to quote the application number and location of the proposal. CC UAHS at the bottom of the letter and send a copy of the letter to us. It may add more weight to the letter and we will be aware of your efforts. Get the issue on the political agenda. Contact your local Councillor to let them know your view. They do not determine applications (though they will assume hat responsibility after April 2015) but they are consulted. Ask your Councillor or the Town Clerk if you can make a deputation to the Council’s Planning Committee Meeting.